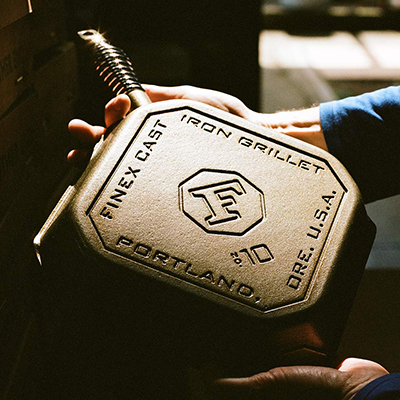 Just as you would use the utmost care to pick the finest ingredients to cook a dish with love for family and friends, what you cook it in is just as important -- just ask Mike Whitehead, founder and chief creative officer of FINEX Cast Iron Cookware. 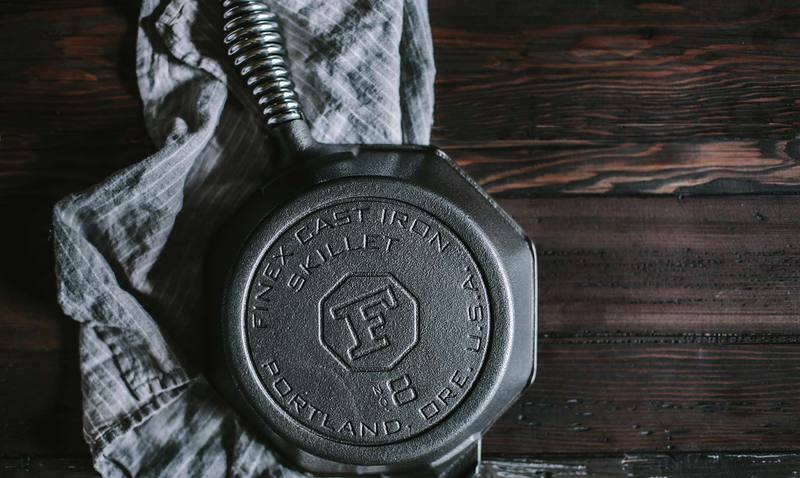 The Portland, Oregon-based cast iron cookware company makes premium cast iron skillets and grill pans, whose unique designs have garnered attention from top chefs, as well as The New York Times and Wall Street Journal, for being as beautiful as they are functional. Growing up in Florida, Whitehead’s inspiration in founding FINEX came from a childhood spent in the Sunshine State amongst alligators, orange groves and bass fishing, and tinkering in his dad’s welding and metal fabrication shop. “You could say I have iron in my blood,” he joked. Whitehead said he’s also deeply inspired by the creative people he’s surrounded by in Portland “who take do-it-yourself to the extreme,” as well as vintage American cookware, old tools, lighting, automotive design, mid-century appliances, fine carpentry, leather boots and watches. Making cast iron cookware is a complex process. Typical cast iron skillets have rough, sand-textured cooking surfaces and the handles get so hot that kitchen burns are frequent. Whitehead and his team have spent years perfecting the art of creating premium cast iron cookware that is both functional and beautiful. “FINEX features an ultra-smooth, machine-polished cooking surface that releases food easily and cleans up quickly,” Whitehead said. “It’s the closest thing you will find to a non-stick surface once you begin using it. We cast our rough sand castings that we start with at the few small American iron foundries left that can handle custom orders and meet our quality requirements,” he said of the process, “then we heat, treat, grind, machine, tumble, polish, season and assemble the finished product in Portland. We also custom-wind our Speed Cool spring handles and machine our brass end caps and lid knobs, and polish them here.” The ergonomic handles are inspired by antique wood stoves and are made to stay cool longer, so there’s no need for oven mitts when lifting tonight’s Brunswick stew from atop the burner. 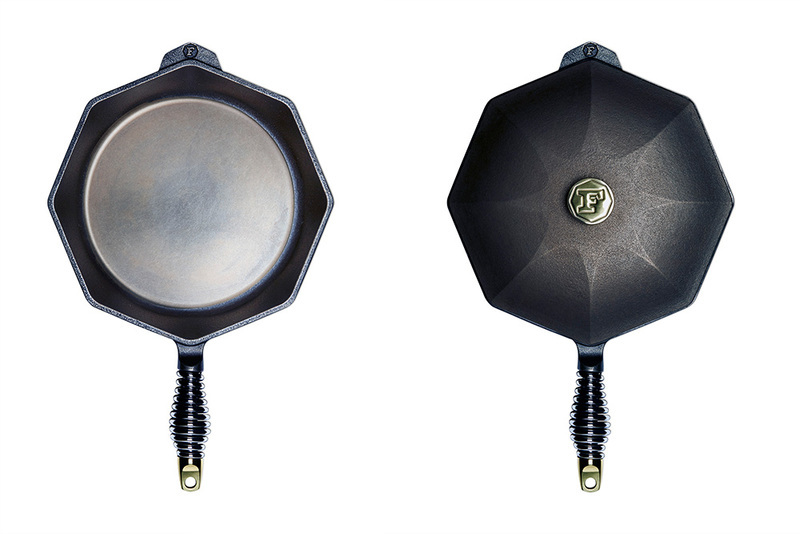 While the FINEX product line is currently limited to skillets and grill pans, growth is on the horizon. Kara Pound is a professional writer who recently left a sweet gig as Director of Communications at a craft distillery to get back to doing what she loves best . . . carefully crafting words that tell a story about a person, place, or thing. A writer by day and a mom and music lover by night, Kara’s work has been published in INKED, Florida Trend, Florida Design, Artisan Spirit Magazine, and Jacksonville Magazine. She is currently a resident of St. Augustine, Florida a.k.a. the Nation’s Oldest City and gets mild road rage when stuck behind horse-drawn carriages on the bay front.